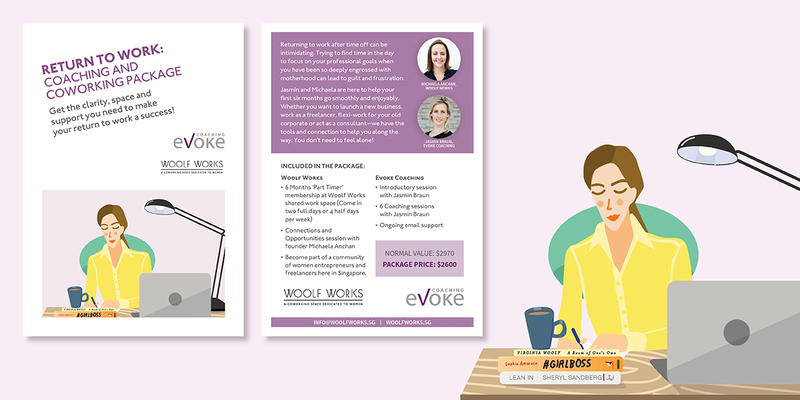 Woolf Works was a coworking space in Singapore geared to building a community for women. It was a magical place with lots of lectures, classes and event. 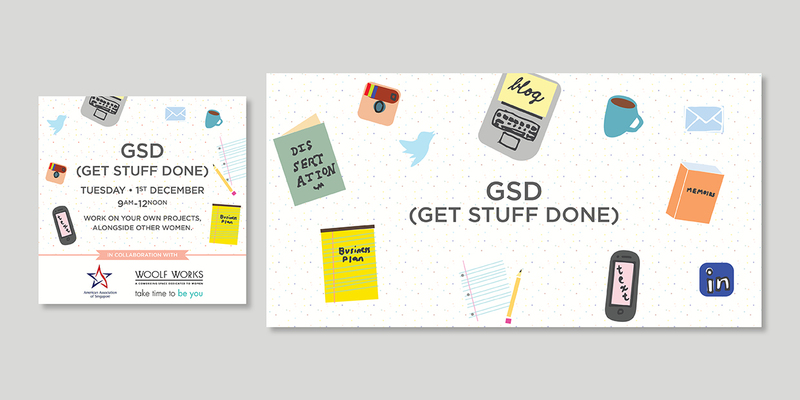 The client needed various print and digital collateral such as a trade show banner, flyers, social media graphics for various events, branding for new initiatives and more. 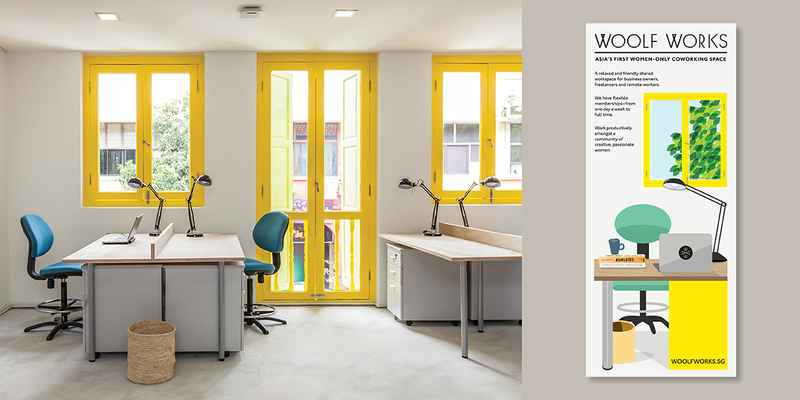 The building of Woolf Works was a colorful and historic shophouse in Singapore. The interior space as well as the concept of giving women a space to work influenced my decision to create the trade show banner. 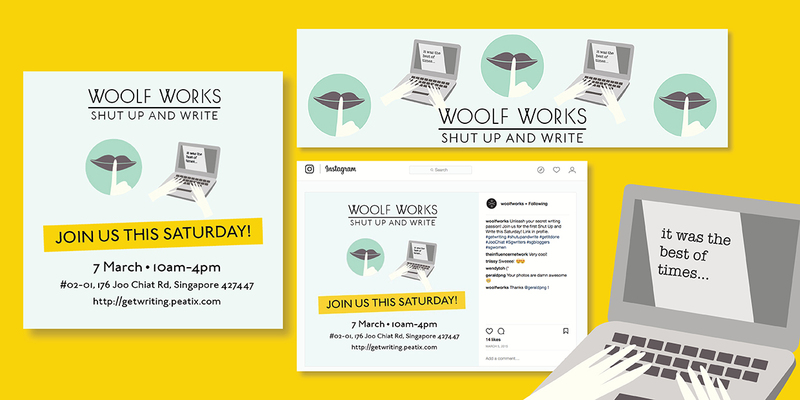 Woolf Works had many initiatives including an initiative called Shut Up and Write which was held on the weekends to encourage women to carve out space and time to write. I created a logo for the initiative and chose colors and a look that catered to professional, strong women, but also showed a sense of humor. Sadly, the coworking space no longer exists in Singapore, but for the couple of years it was open it was a great place to exchange ideas and get work done! The primary Woolf Works logo was not created by me and the photographs were not taken by me.